NOTES: Watch for gold paint loss with Ripper. 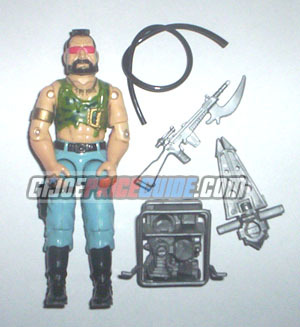 He is another Dreadnok from 1985 and rather boring to me. Note that his head is the pre-1985 design that only turns left and right.